You would think that since you hired a company to look out for your investment property that they would treat you with respect and answer your calls, but to your surprise they not only treat you with disrespect, they actually ignore you all together. The question is why? 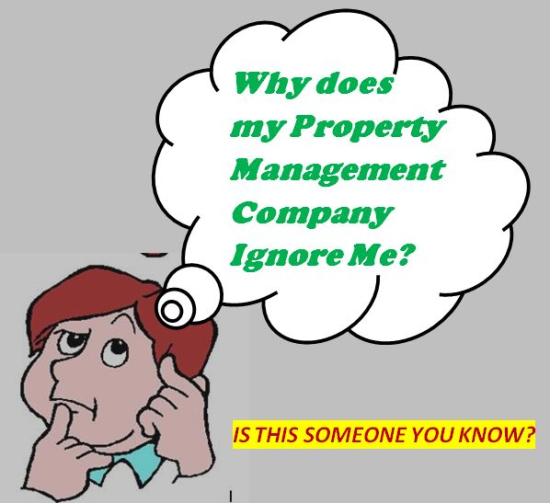 The answer is simple, most Property Management companies only care about you before you sign the contract and they understand that for you to switch companies is a great burden, so more often than not, many clients of these companies will put up with the abuse for long periods of time before they move on. In my next blog I deal with Leaving your Property Management Company. The large property management companies have many ways to attract new clients and they work very hard to bring in more and more business because their business model is not to satisfy the clients they have, but to continue to grow the number of clients. They understand that they will lose a good percentage of their clients due to lack of attention but they make up for it with new contracts. The question you may ask is, if they work so hard to get clients, why not try harder to keep them and that is a great question. The answer is not so great. As a management company grows the amount of work also grows and in order to do a satisfactory job on each property and the number of clients grow, the number of employees also should grow and that is the problem. Most companies work on a very low profit margin and if they hire more employees that makes the margin even less. 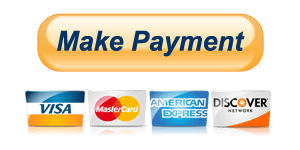 If you pay your management company $100 per month, you expect them to collect the rent and send you a statement at the end of each month, you also expect them to visit the property on occasion and take care of any repairs that are needed. When the property is vacant, you expect them to fill the property. These are all reasonable expectations a property owner should have. The question is how much can a company do for $100 per month and still survive. The answer is twofold. First they can grow the business and bring in more $100 per month clients, but that goes back to the employee question and how many they need to do a satisfactory job. The next thing they can do is fill vacant properties and make the commission and that is the most efficient way for a company to increase the profit margin. The more new clients they bring in, the more vacancies they can fill. Is it starting to make sense yet? The easiest way for a Property Management Company to make money is not to keep their current clients happy, but to bring in new clients that they have to fill a vacancy. As investment property owners know, when a management company fills a vacancy, a commission is paid and at least some of that commission and many times all of that commission go to the management company. The commission can surpass the amount that a company can make on a year’s worth of management fees. You can see why, bringing in new client’s increases the chances of filling vacant properties. Finding a company that will continue to give you great service is one of the biggest problem that investment property owners face and solving that problem is not always easy. You can read more about what you should expect from your management company. What you should expect from your Property Management Company.